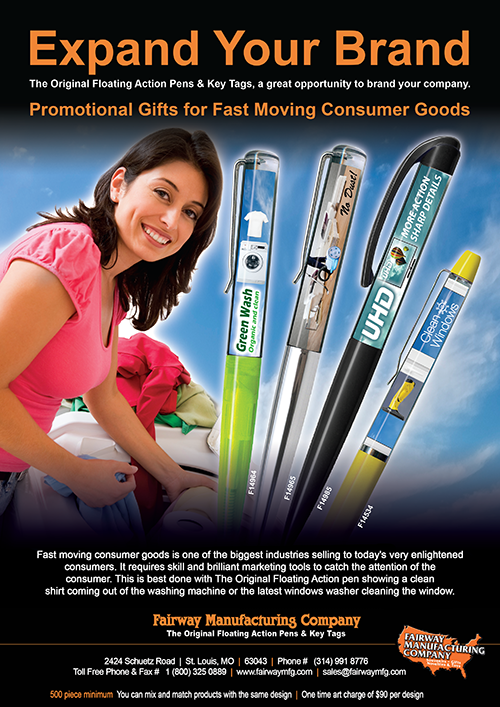 Fast moving consumer goods is one of the biggest industries selling to today’s very enlightened consumers. It requires skill and brilliant marketing tools to catch the attention of the consumer. 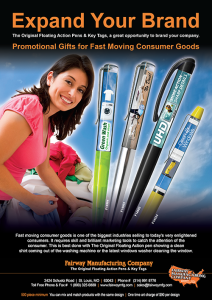 This is best done with The Original Floating Action pen showing a clean shirt coming out of the washing machine or the latest windows washer cleaning the window.